The annual 4th Street Lilac Festival in Calgary is this Sunday May 29th, 2011. 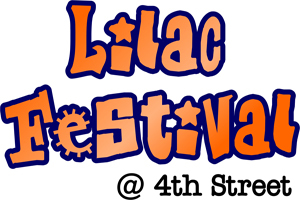 The festival celebrates the lilac flower and the festival first began in 1989 by the 4th Street business revitalization zone. Although the forecast for Sunday is calling for some rain, I plan on going down to the festival and indulging in the music, food and all it has to offer. I'll also be out with my camera taking pictures of Calgary's street style.... Can't wait!! !